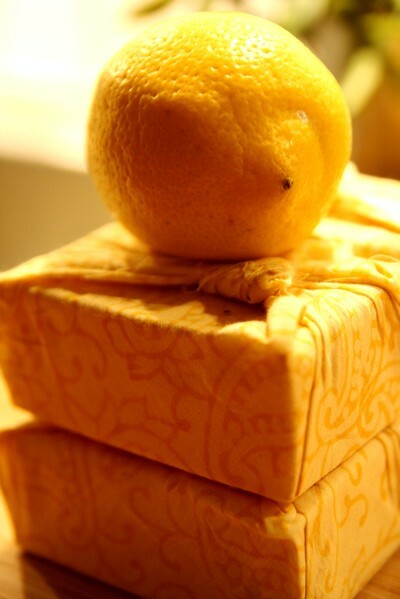 FAIR TRADE & ECO-FRIENDLY LEMON SOAP from Rhubarb forest! Lemons are natural antiseptic and rich in citri...c acid and vitamin C, so they can help brighten and lighten your skin when used over time. That means it can help lighten age spots, dark spots, or a fake tan gone wrong. Vitamin C is a great antioxidant for neutralizing free radicals and boosting collagen production. 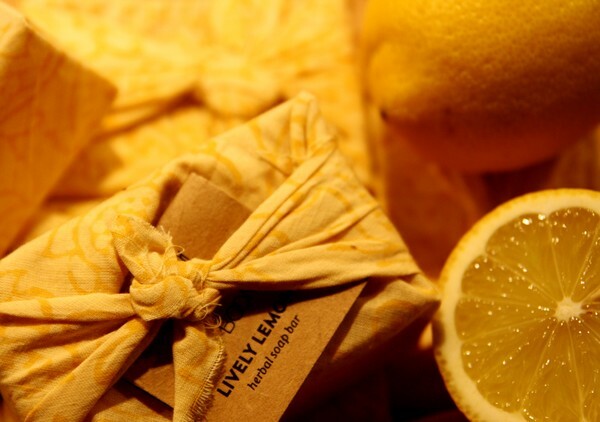 The freshly lemon scented soap is free from detergents or phosphates, making it eco friendly. It is packaged in a beautiful naturally dyed, block printed fabric. 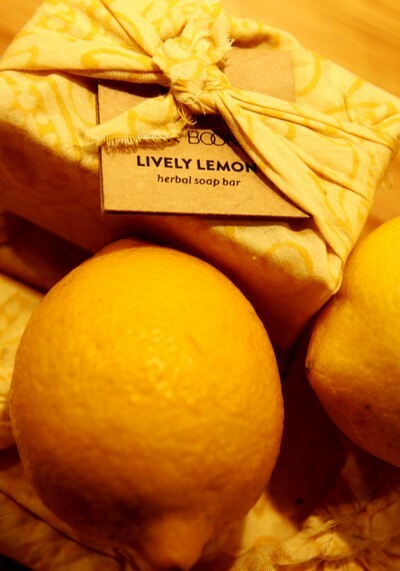 The soap is handmade using only natural ingredients. Fair trade, Sustainable, Handmade, Funds Community Development, Compostable, Cruelty Free (not tested on animals, No Phosphates or Sulfates.